It all started out with Michael visiting family in Borneo, Malaysia in 2007. Little did Michael know that there was a recipe in his family for over 30 years. Michael’s family in Malaysia are vegetarian Buddhists, and found mushroom jerky to be the perfect alternative to meat, with its meaty like texture. Michael knew that his family had something special that had to be shared with the rest of the world. After a lot of testing, Pan’s Mushroom Jerky was officially launched in 2008. All current four flavors are vegan certified, gluten-free, and mostly use organic ingredients. 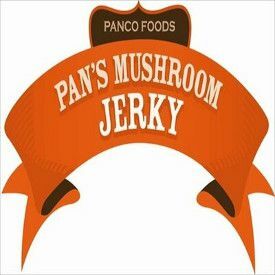 Pan’s Mushroom Jerky is distributed by Panco Foods LLC, and they are located in Portland, Oregon. The next review on Pan’s Mushroom Jerky will focus on a 2.2 ounce/62 gram bag of their Original flavored mushroom jerky. We had previously reviewed this Zesty Thai flavor before, where the bag design, flavor name, and ingredient list has since changed. This Zesty Thai flavor is described as being their most popular flavor yet, having a savory taste with a little kick, and it uses organic ingredients. The jerky bag was kindly submitted for review by the Owner, Michael Pan. These organic shiitake mushrooms are a good source of protein, fiber, antioxidants, and are cholesterol free. Mushrooms are a great source (other than the sun) for vitamin D, and are high on the minerals iron and selenium. The liquid marinade is comprised of water and super healthy avocado oil, which contains beneficial fats. Organic chia seeds are high in antioxidants, vitamins, minerals, protein, fiber, and especially omega 3 fats. 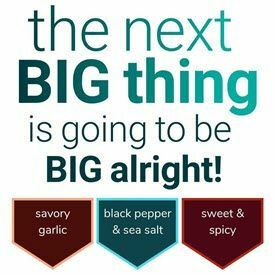 There is a mighty impressive list of organic ingredients used here such as garlic powder, onion powder, lemon peel, cayenne pepper, tomato powder, coriander, paprika, basil, black pepper, cilantro, and white pepper. The sugar level is on the high side at around 7 grams of sugar per 28 grams of jerky to lose a rating. In fairness, organic coconut sugar is the main sweetener used here, and mushrooms contain small amounts of healthy natural sugars. Our preference is 3 grams of sugar or less per 28 grams of jerky. The salt level is respectable at around 260mg of salt per 28 grams of jerky. This jerky qualifies to have no sodium nitrite, or any other similar unhealthy preservative. Instead, healthy minimally processed Pink Himalayan sea salt is the main preservative used. With more kudos to Pan’s Mushroom Jerky, this jerky has no MSG added. 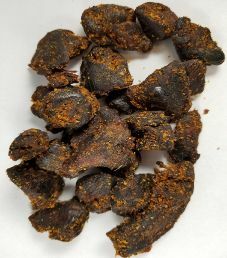 Pan’s Zesty Thai Mushroom Jerky has a wonderful aroma and an amazing flavor. Each piece explodes with great taste. These Oyster Mushrooms have a delicate flavor and the seasoning swiftly cascades into a complex and beautiful flavor profile. The taste seems to be getting better and better with each and every bite. Although mostly subtle and delicate, the flavors complement each other as well as the mushroom flavor to perfection. The taste is consistent and the seasoning is even throughout the whole experience with every little piece of mushrooms. Each morsel builds a harmonious blend and deepens the flavor profile. The saltiness, light sweetness and slight spicy kick balances really well and the chia seeds add a pleasant nuttiness to this already excellent mushroom jerky. The avocado and coconut oil enrich these flavors and improve the overall texture of the mushrooms. These tasty little nuggets are small and fairly thick. They’re soft and chewy and so delightful, they’re like little bundles of love and TLC with a healthy sprinkle of fairy dust. The Shitake mushrooms with their great flavor really shine. This mushroom jerky is flavorful and appropriately complimented by an Asian flair. Pan’s Zesty Thai Mushroom Jerky raises the bar to a new level. It is packed with wonderful flavors along with great texture. As a result, this mushroom jerky is delicious and it is incredibly addictive. 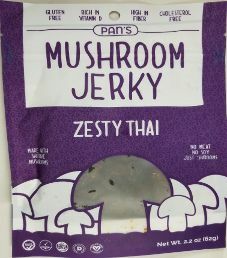 Pan’s Zesty Thai Mushroom Jerky scores an Excellent (10/10) taste rating. As it is mostly the case with Pan’s Jerky Products, I’ve devoured my bag in the time it takes to snap my fingers and I am already looking forward to next time. Cheers! A 2.2 ounce/62 gram bag sells online for $9.00. That works out to $4.09 an ounce, which rates as an expensive price. Commendably, free shipping is offered on all U.S. orders. This resealable plastic bag has everything imprinted on the bag itself, both on the front and back. There are no labels affixed to this bag. Displayed is a graphic of mushrooms, where appropriately the transparent window is the shape of a mushroom. Some slogans printed on this bag are “Made With Shiitake Mushrooms” and “No Meat. No Soy. Just ‘Shrooms”. Some facts printed on this bag are “Gluten Free”, “Rich In Vitamin D”, “High in Fiber”, and “Cholesterol Free”. There are a number of stamps printed such as “Certified Paleo”, “Cholesterol Free”, “High Fiber”, “Excellent Source of Vitamin D”, and “Certified Vegan”. All bag categories are covered with this bag. There is a good blurb printed on the back about Pan’s Mushroom Jerky. 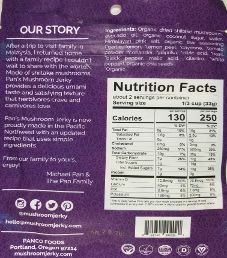 You are encourage to follow Pan’s Mushroom Jerky on Facebook, Instagram, Twitter, and Pinterest, where their @mushroomjerky social media handle is provided.